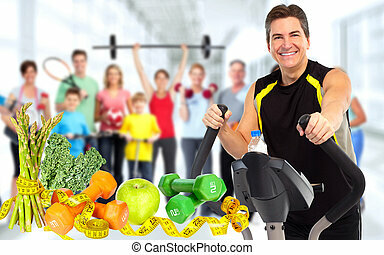 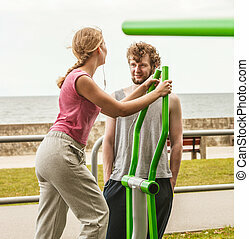 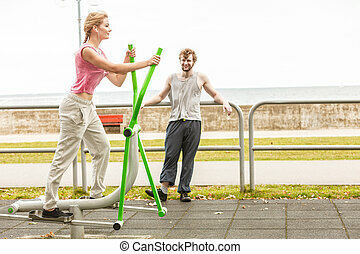 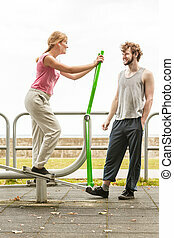 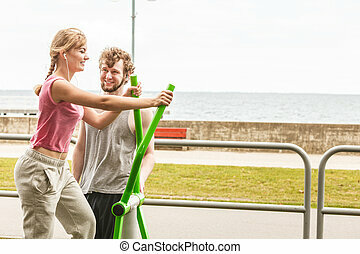 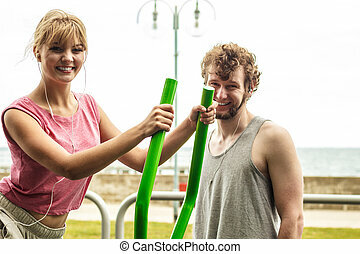 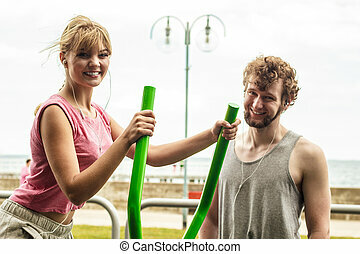 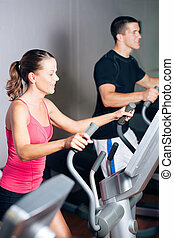 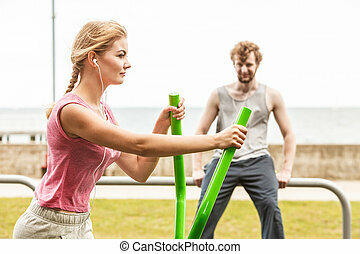 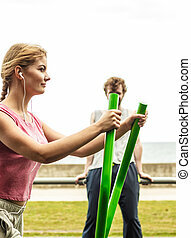 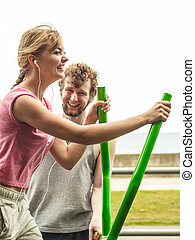 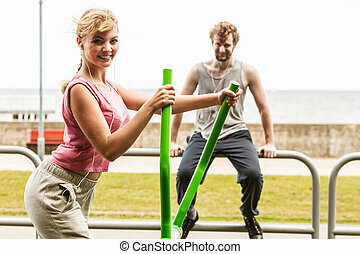 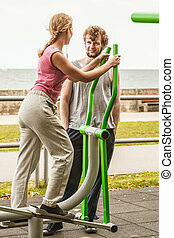 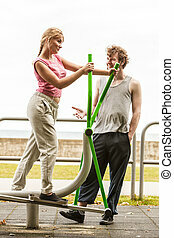 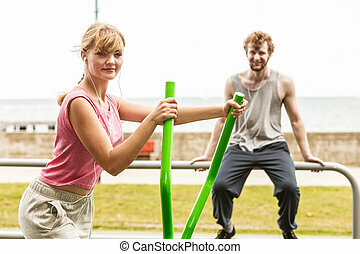 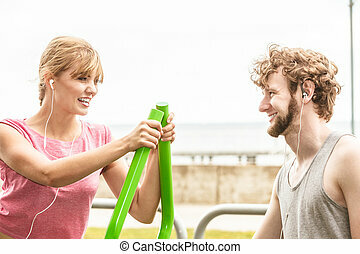 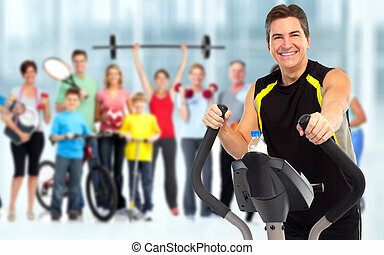 Man and woman exercising on elliptical trainer. 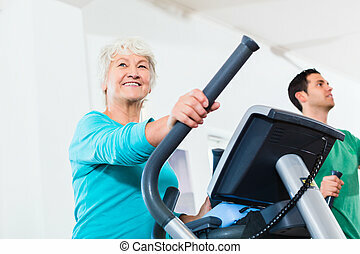 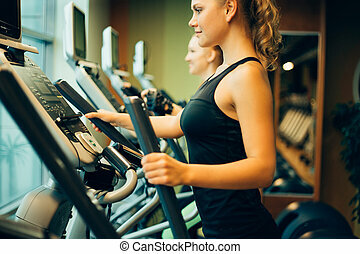 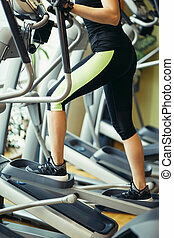 Active woman exercising on elliptical trainer machine and man listening to music. 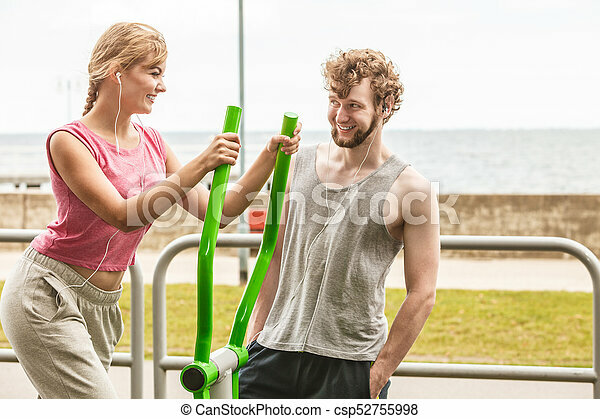 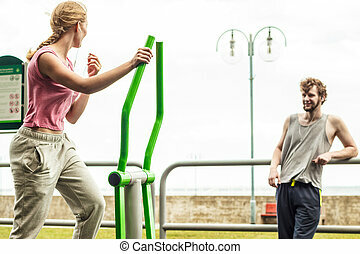 happy fit sporty girl in training suit working out at outdoor gym.